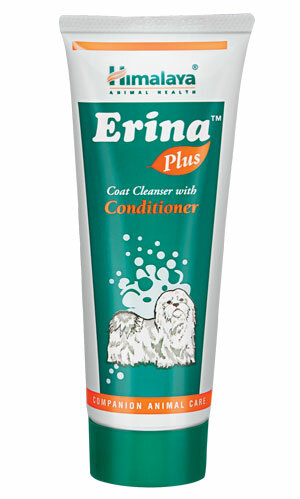 Coat conditioner: Enriched with conditioners, Erina Plus improves the texture and overall appearance of your pet’s coat. Improves skin hygiene: The product’s cleansing action ensures optimum skin health. Deodorant: Its deodorizing property combats foul coat odor. Wet your pet’s body thoroughly with water. Apply the required quantity of Erina Plus, work up a rich lather and massage well into the coat. Rinse well after five minutes and repeat application if required. Towel dry and brush thoroughly.